A 14-year-old boy died after collapsing during football practice at a Bronx school Tuesday, authorities say. Police say the teenager, identified as Dominick Bess, was running sprints during practice at Mount Saint Michael Academy on Murdock Avenue when he fainted. Authorities responding to the 9:30 a.m. school found the boy unconscious; coaches attempted to revive him using CPR but could not. He was pronounced dead at a hospital. Police say Bess was going to be a freshman at the school in the fall. His death came as temperatures surpassed 90 degrees across much of the city, though the humidity made it feel like 100. Bess was in shorts and a T-shirt while doing the drills, and not wearing any pads, according to a senior varsity player. 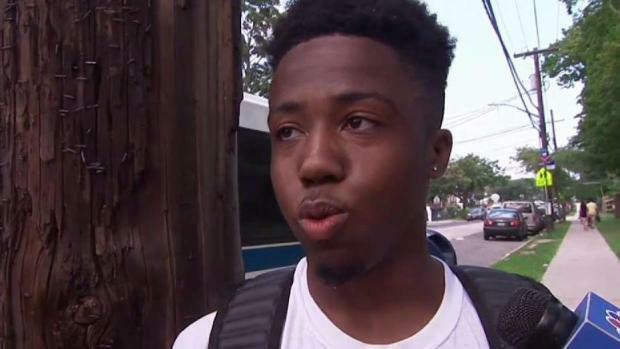 Dominick Bess, 14, was running sprints during practice at Mount Saint Michael Academy in the Bronx when he fainted. "It was just another day at practice. He was on the JV, I saw the young man go down," said Kianndrea Smith, 17. "Like anyone else, we all worried about him." Smith said Bess, as a freshman, was new to the school and to the team, and he didn't know him well -- but the players consider each other family and are devastated. "We love each other, we do anything for each other," said Smith. "He was a wonderful kid. I went home today and I was crying because I felt so hurt about what happened," he said, adding in a message for Bess' family, "Everything we do this year is for you." Mayor Bill de Blasio, a Democrat, later tweeted: "Our hearts break for this young man's family. We should prohibit sports practices during heat waves." The boy's uncle, Bertram Meade, told News 4 he was thrilled to tell his family just days earlier that he made the JV football team at school. "He was a young man who had a lot of promise, who could have been anything and everything that America had to offer," said Meade. 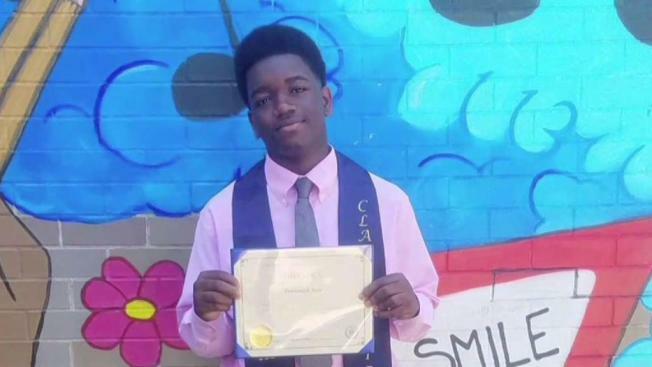 Dominick was a brainy, fun-loving boy from a close-knit family, and he'd help out his relatives even with the cooking, cousin Simone Dyer told The Associated Press. "A well-rounded kid," he was good at things ranging from math to baking cinnamon buns, she said. "He was a good kid - awesome kid," Dyer said. His godmother Erica Farrell told News 4, "He's unforgettable. He's a perfect son, perfect child." A heat advisory had been issued for the city, but didn't go into effect until noon. It's not clear if weather was a factor, though; the medical examiner's office will conduct an autopsy to determine how the boy died. "Our heartfelt thoughts and prayers are with his family and friends, as well as coaches, the team and our student-athletes," the school said in a statement. "Out of respect for the family, the student's name will not be released at this time." Practice for Wednesday has been canceled but will resume later this week if appropriate, school officials said. Grief counselors will be on hand Wednesday. The Catholic, all-boys prep school is in the northern part of the Bronx. There are more than 800 students. According to the school's website, it has a grass football field and stands that seat up to 3,000 people. The natural field helps tamp down high heat levels, according to the website, which can reduce likelihood of heat stroke and fatigue. The football season begins in September, but practice had been ongoing for weeks. The school's online calendar says the first varsity and junior varsity games are scheduled for Sept. 9. It's the second football-related teenage death in New York in a matter of weeks. On Aug. 10, 16-year-old Joshua Mileto, a student at Long Island's Sachem East High School, died when a 400-pound log fell on him during a training camp exercise. The camp was held on school grounds and wasn't affiliated with the high school, but it was run by some of the school's coaches. The head coach and an assistant have been reassigned pending the outcome of that investigation. Besides Milteo, three other boys around the country have died during practice in the past two months. On Aug. 2, a Mississippi high school player was found unresponsive at his home after practice and later died. A 16-year-old suffered heat stroke in Fort Myers, Florida, and later died on July 12, and an incoming freshman in Grand Ledge, Michigan, collapsed during a workout and died July 25.